I officially might start writing and mailing handwritten letters again because the Maya Angelou forever stamp was revealed by the United States Post Office and it's wonderful. The forever stamp showcases artist Ross Rossin's portrait of the writer, activist, poet, singer, and all around awesome person. Alongside the portrait is a quotation from Angelou's iconic I Know Why the Caged Bird Sings: "A bird doesn't sing because it has an answer, it sings because it has a song." The stamp pane also includes a line from Letters to My Daughter: "Try to be a rainbow in someone’s cloud.” USPS art director Ethel Kessler designed the stamp. 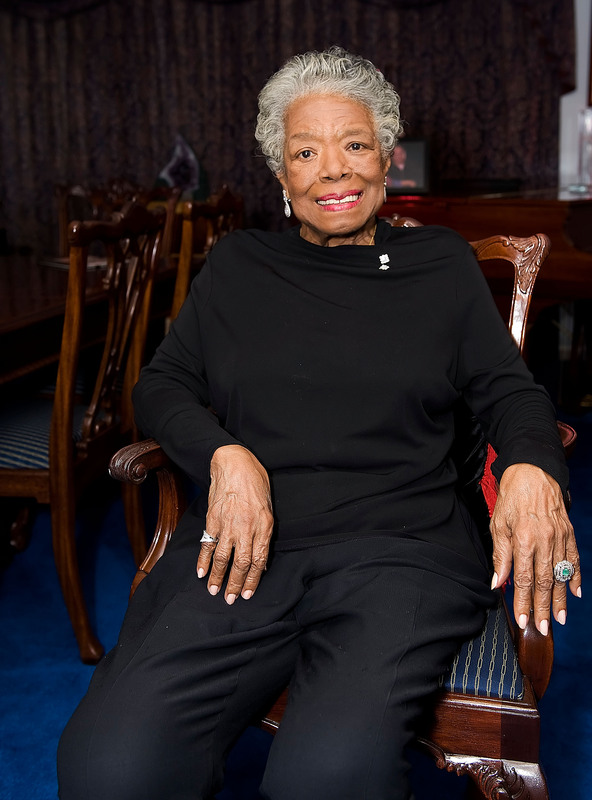 The USPS announced last month that Angelou would be featured on a stamp and previewed it Wednesday. The official launch date of the stamp is April 7, during a dedication ceremony in Washington D.C., but letter-writers can pre-order the forever stamp now. Postmaster General Megan Brennan released a statement on behalf of the USPS about the new stamp. Maya Angelou inspired our nation through a life of advocacy and through her many contributions to the written and spoken word. Her wide-ranging achievements as a playwright, poet, memoirist, educator, and advocate for justice and equality enhanced our culture. Possin, the original artist of the painting (and yes, it's a painting, though I could have sworn it was a photograph it's so lifelike), echoed his admiration of Angelou and everything she stood for. I always wanted to paint Maya as she was a voice that inspired millions — not just as an individual, but as a legendary poet and a civil rights icon who transcended generations ... I was compelled by the challenge to portray her forgiving smile and her aura of unconditional love and understanding that comes across when having a conversation with her. The painting, if you'd like to see it in all its glory, is now on display at the Smithsonian National Portrait Gallery's collection. Angelou died in May 2014 at age 86. This month Angelou's The Complete Poetry will be released by Random House, and the late author's friend Tavis Smiley will publish his book My Journey With Maya in April.